The calendar has turned to July, which can only mean one thing: Time to celebrate the greatest summer episode in the history of television. The television season, like the school year, pretty much runs from September to May, meaning that most shows never explore the summer as in-depth as the other seasons. For The Simpsons, “Summer of 4 Ft. 2” is a rare episode that dives into what goes on between one season’s finale and the next’s premiere, and it does so with near perfect execution. The finale of the seventh season — originally airing May 19, 1996 — is centered on Lisa’s often quixotic quest to find friends. 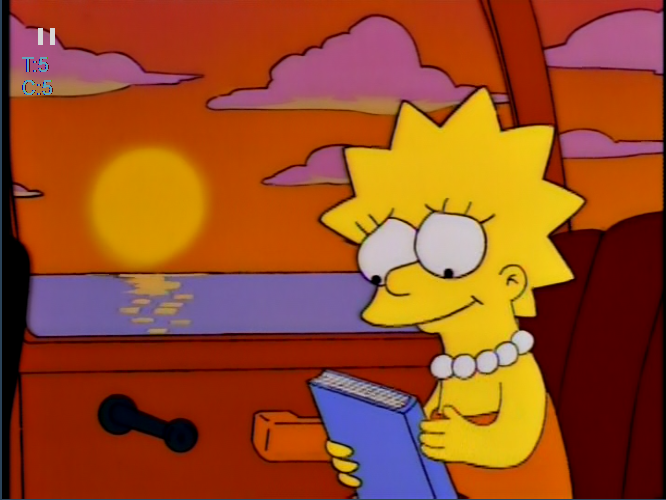 The final day of school reveals that overseeing the layouts and fonts of Retrospecticus, the Springfield Elementary yearbook that excels in “immortalizing your awkward phase,” doesn’t make Lisa the most popular girl in school. The family’s trip to the Flanders’ beach house in Little Pwagmattasquarmsettport offers her a chance to try on a new personality and win over friends, which she does for a time. It’s a sweet episode. Yes, I know I’m prone to the charm and realism of Lisa episodes. But what makes “Summer of 4 Ft. 2” so groin-grabbingly transcendent is its absolute embrace of its setting—both the Independence Day time and the Little Pwagmattasquarmsettport place.